And it all culminates TODAY (April 4, 2015) with the full moon lunar eclipse in Libra. As you know, full moons are always a time of amplified emotions. As the moon’s light increases, it illuminates all that has been inside of you that needs to be revealed. Tonight, we are experiencing a super powerful full moon, which is intensified because it’s also a lunar eclipse. Eclipses are the most powerful transits in our zodiac. During these potent cycles, what’s normally eclipsed from your consciousness such as buried emotions, deep desires, and unprocessed traumas are revealed. Old wounds are resurrected that you thought you had processed ages ago. This may feel uncomfortable at the moment, but it’s cosmically designed to help you. The immense healing that takes place during eclipses can clear the path for happiness, freedom, and fulfillment like never before. What we’re experiencing now is a profound transit that will shift your perceptions so that you can feel more joy than ever. During this incredible time of healing and transformation, it’s important to have resources to help you on your path. You’ll want to process and clear all the emotions that are coming up for you. We’re all in this together, so it’s best you don’t go it alone. With such potent energies in our celestial sphere, why not call upon heaven’s helpers to guide you? 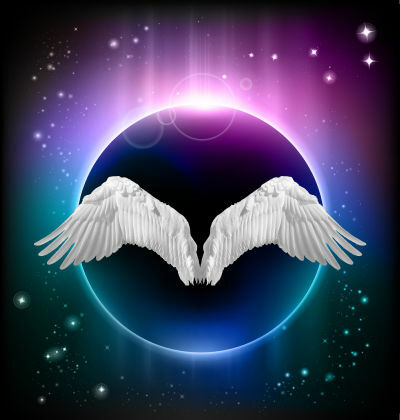 After all, April is Angel Month here at Numerologist. Your angels are always with you, just waiting to offer divine guidance and lift you with their light. You are raising your vibration by leaps and bounds. As you grow beyond your comfort levels, your fears will inevitably come up. If your intuition is guiding you into unknown terrain, it can be confusing to know which steps to take. Ask your angels for clear signs on your path. Then pay attention to your dreams, synchronicities, and of course, messages from your heart. Your angels will guide you every step of the way. When you listen to the messages from your angels, you will be divinely guided toward your destiny. Everyone needs love, so why not receive a hug from your angels? Angels hold the purest vibration of love and can lift your spirits with their presence. Call upon your guardian angels for comfort and they will wrap you in their gentle wings of love. When you open yourself to the blissful loving energy of the angels, you will immediately feel lighter and at peace. When you ask for help from your angels, trust they are there for you watching over you. They are with you every step of the way. Your requests are always heard. Whatever you ask for will be responded to by the Universe. If you give your troubles to the angels, and ask for their loving support, you will receive it. It is Universal Law! As you live in trust and harmony with the Universe, you can experience more peace in your heart and mind. You are a divine being of light. Your angels are here to help you create heaven on earth. You deserve it because YOU are an earth angel. Just ask and they will rush to your side and lift you up with love. P.S. In celebration of Angel Month, the Numerologist Team and I are planning something extremely special for you around mid-month. Look for an email announcement from us in the next few days. Eeeekkk, I’m so excited! You are going to LOVE this.